Every year, scads of individuals set resolutions to make them a better person in the New Year. In 2017, why not take a different approach and resolve to amplify your SEO strategy and bring your business more prospective customers? Google, Bing, and similar search destinations are constantly tweaking their algorithms to provide a better search experience. Shouldn’t you be doing the same with your blueprint? If you are ready to kick off 2017 with a bang and develop a more substantial and effective SEO strategy, then look no further. Here are five resolutions to give your company a boost in the SERPs this year. You’re probably sick of people preaching to you about the importance of mobile. But mobile is still insanely ignored by many small business owners, and that is becoming increasingly costly. In the coming years Google has made their mobile priorities clear and has even enacted mobile-first indexing. You’ve gotta make the shift to a mobile-focused strategy. It’s time. In 2017, a responsive design is not enough. Business need to go all-out and create full-blown mobile experiences to capture, and keep, a visitor’s attention. All navigation and site elements need to be highly intuitive and convenient; some interactive elements wouldn’t hurt either (unless it kills your site’s load time). Factors like speed and usability are especially important if you are targeting millennials; these folks expect a top notch mobile experience. Another important thing to note is that if your mobile site is employing full screen popups, stop immediately! Effective Jan. 10, Google began penalizing any site that leverages “intrusive” popups on mobile devices. If you fail to remove this feature, don’t be surprised when your SERP ranking dips. I know that in the past I have stated that content will evolve to become shorter and more information-dense in 2017 to accommodate mobile devices. While I still believe this to be true, that time has not come just yet. For now, long-form content still reigns supreme in the SEO department. Sure, the competition continues to grow increasingly fierce, readers are becoming choosier about the content they consume, and written materials are completely saturating the web; that’s exactly why you must develop lengthy articles that comprehensively cover the topic at hand. Leave no stone unturned, as they say. If this means that you have to sacrifice the number of publications you produce, so be it. People are growing weary of the same rehashed content and materials that skim the surface without providing any real advice. Dig deep, research extensively, and produce information rich, long-form articles that provide real value to readers; that’s how you break through the noise in content. Social media has become so deeply entrenched in marketing tactics that the two are now utterly inseparable. As far as these platforms are concerned, the content you share, ads your brand publishes, and engagement the page generates all help to push your brand awareness to new heights while driving consumers to landing pages and other destinations; all of which furthers your SEO goals. If you are already quite active on social and failing to engage audiences in a meaningful way for your brand, take a step back and evaluate the type of content you are posting and the messages that you are putting out there. If you really want to connect with your social media audience, try resolution number four on for size. Video is all the rage right now; we all know this. While platforms like YouTube continue to soar in popularity, social media websites like Facebook are heavily investing in live streaming content. This trend is hot right now and people are clamoring for more. The extreme demand for video content and live streams is resulting in a plethora of companies diving into the practice; that means you have to take things to the next level. In order to produce increasingly engaging social videos, it is necessary to take feedback on what the audience wants to see, employ more charming and charismatic hosts, broadcast the most beneficial data, and come up with outstandingly creative and entertaining concepts. Here’s something you can bank on: Security will never go out of style. Google is serious when it comes to protecting its users; hence why it made HTTPS a ranking signal in 2014. And many sites who employ the extra security do see a rankings boost. In a Backlinko study of more than one million Google search results, the SEO service revealed “…a reasonably strong correlation with first page Google rankings,” and HTTPS usage. Moreover, beginning this month, Google will start providing a warning to Chrome users when they are about to access a site that does not employ HTTPS and has credit card or password fields, as noted in the company’s Security Blog. Anyone who is willing to take the risk by not switching over to HTTPS will end up driving site visitors away in favor of one that does not come with a warning label, ultimately decreasing a site’s standings in the SERPs. The New Year is a time for new beginnings. 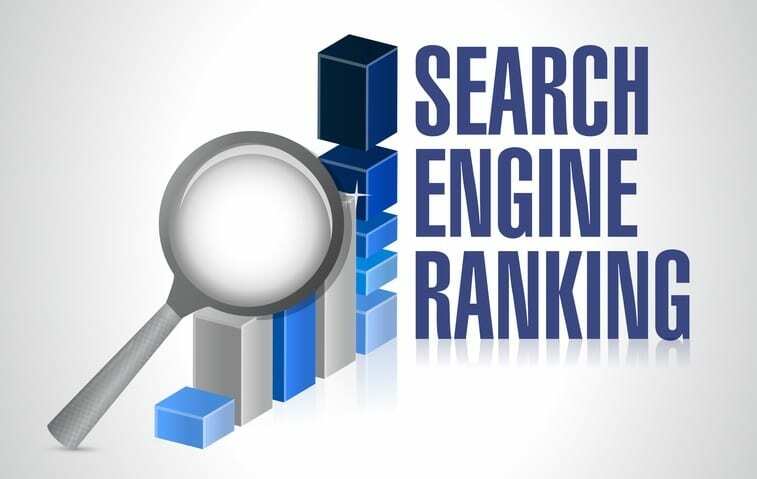 Take this time to revamp your SEO strategy and get caught up on the latest best practices to ensure that your business’s website gets top billing and loads of positive attention. Which of these strategies have you already employed? How do you plan to be more social in 2017?